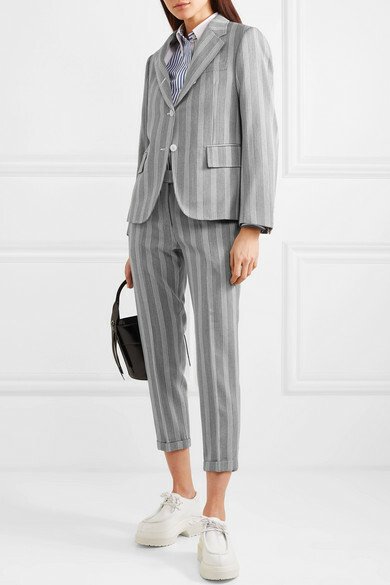 Thom Browne initially became a cult favorite for his menswear so naturally, impeccable tailoring is a signature. 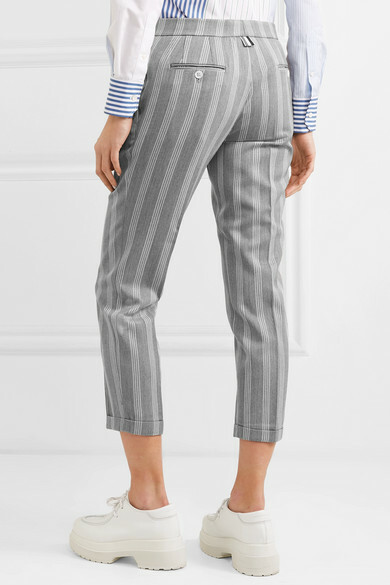 Cut from a wool and cotton-blend with smooth silk lining, these cropped pants are woven with stripes that accentuate the slim fit. 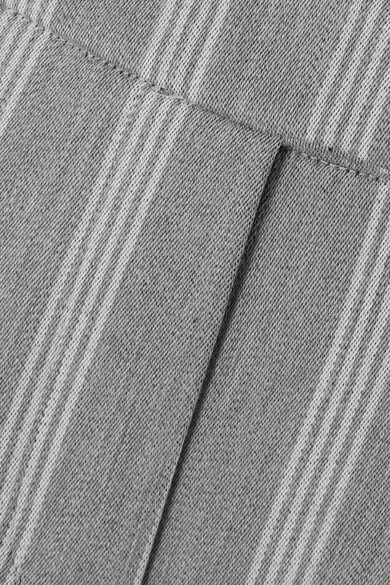 They're finished with the label's striped grosgrain tab at the back. 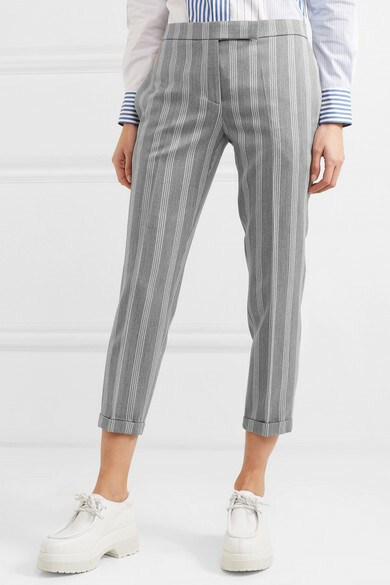 Wear yours as part of a suit with the matching blazer. Shown here with: Thom Browne Shirt, Prada Bucket bag, MM6 Maison Margiela Loafers.